Your bathroom is one of the areas in your house which you might want to pay extra attention to. Aside from being a “sanctuary” where you can relax and just be yourself, it is the most frequented zone by your guests and visitors. A clean and spotless restroom can speak a thousand words, so can a dingy and worn-out bathroom, but it’s not quite the impression that you would want to relay to your guests. JCD construction is well versed in bathroom remodeling in Cathedral City. Since it is one of the most utilized areas in your home, it can also undergo the most wear and tear. Bathroom Remodeling in Cathedral City is a quick fix to update your shabby sanctuary. However, getting a remodeling schedule can be quite challenging. If you find yourself in need of remodeling in Cathedral City JCD construction will make sure that your project is perfectly scheduled and the installation process done according to your specifications. Gone are the days of designed constructed homes solely as hard working and functional rooms with no frills and no aesthetics at all. With the evolution of fashion comes the heightened need and want to dress up your house as well. There is a lot of opportunities to reinvent your restroom and to add luxurious layouts and aesthetics that will surely leave a positive tone. You don’t need to sacrifice aesthetics for function. You can have the best of both worlds. If you have a narrow space, you don’t need to feel confined within the four tiled corners of this room. Narrow baths can have a lot of personalities when updated with the proper remodeling plan. 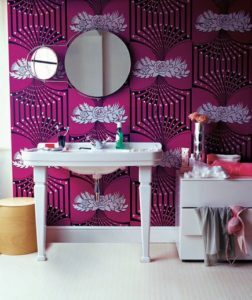 From creative wallpapers and designs, posh sinks and showers, glammed up fittings and fixtures and a personalized vanity that has your name written all over it, a small space can have a lot of stories to tell. If you are utilizing this space for your laundry as well, you can still make this zone a comfortable and plush haven. Why not maximize the space and add a luxurious sofa where you can have your manis and pedis? You can even make this your personal nook where you can read your favorite novel. Make use of the extra space to put up several storage cabinets to keep things organized. It will also make it easier for the guests where to look for that hand towel. Having a large areas properly laid out is of utmost importance to keep your bath area clutter free. Employing the services of a skilled craftsman and professional in the field is vital to make as seamless looking powder room. Did you know that aside from kitchen renovation, bathing renovations give a homeowner the biggest return on investment in case you decide to sell the house? All the more reason to glam it up. JCD has an impeccable record in the construction and remodeling industry Our dream team consists of highly skilled, licensed and insured professionals who are committed and experienced in delivering your project according to your specifications. We can work with all sorts of styles and designs. Our team of experts have a keen eye on aesthetics and will assist you on how to pick a tile suited for your newly upgraded sanctuary. We strive to be updated on the modern and trendy designs and layouts. Our projects are client centric and we provide a precise scheduling for your remodeling project. We update our clients on every step of the installation and keep them in the loop on who is going to be working on a specific phase of their project. Call us now to start your remodeling project in Cathedral City!